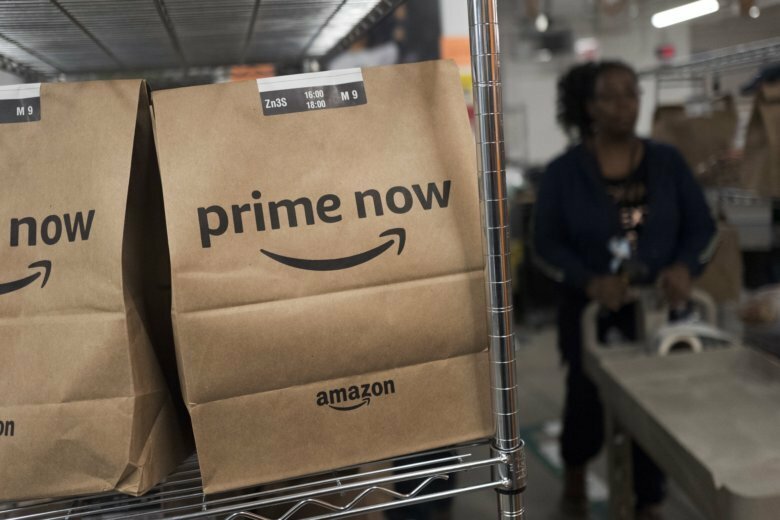 NEW YORK (AP) — Amazon, the business that upended the retailing industry and transformed the way we shop for just about everything, is jumping out ahead of the pack again, announcing a minimum wage of $15 an hour for its U.S. employees that could force other big companies to raise their pay. The online giant also said it will push Congress to increase the federal minimum wage, now at $7.25. Given Amazon’s size and clout, the move Tuesday is a major victory for the $15-an-hour movement, which has organized protests of fast-food, gas station and other low-paid workers. Already, several states and cities have raised their minimum wages above the federal one. Amazon, whose value topped an awesome $1 trillion in September, has been under political and economic pressure to pay its employees more. “We listened to our critics, thought hard about what we wanted to do, and decided we want to lead,” said Jeff Bezos, Amazon founder and CEO. But Amazon may also be offering raises out of necessity: With the economy booming and unemployment near rock bottom, employers are having difficulty finding help. Amazon, with about 100 warehouses around the country, will soon need to hire more than 100,000 workers to pack and ship boxes during the holiday season. The wage increase takes effect next month. Current pay for warehouse workers at Amazon is at least $12.25 an hour in Omaha, Nebraska, $13 in Baltimore and $16.50 in New York, according to recent job postings. The announcement was enough to soothe one of Amazon’s fiercest critics: Sen. Bernie Sanders. The senator, who frequently uses Twitter to point out the disparity between Amazon’s hourly wages and Bezos’ vast fortune, congratulated Bezos for “doing exactly the right thing” and urged other companies to follow Amazon’s example. It will have repercussions beyond retailers and will put pressure on any company that operates a distribution center, said Gerald Storch of the retail consulting firm Storch Advisors. “This will lead to a general increase in minimal wages in all industries,” he said. At the same time, Storch said, the wage increase will widen the gap between the healthy retailers, such as Amazon, Walmart and Target, and the struggling ones, which won’t be able to afford to compete on salary. Amazon, founded more than two decades ago, has expanded far beyond its bookseller beginnings. Despite its dominance, it shares a major problem with employers big and small: a tight labor market. Unemployment in the U.S. is 3.9 percent, near an 18-year low. Higher pay for workers is one way of dealing with that. “They’ll gladly cross the street and take a better-paying job,” said Marc Wulfraat, president of MWPVL, a supply chain consulting company. Walmart raised its starting pay to $11 an hour earlier this year and said it has seen lower turnover among its employees. Target, which announced plans last year to raise hourly wages in steps to $15 by 2020 and now pays $12 an hour, said the number of job applicants rose 60 percent in the days after it increased its minimum by $2 to $11 per hour last year. Amazon said it doesn’t expect to raise prices for its products to pay for the wage increases. “Customers are going continue to see incredibly low prices every day,” said Dave Clark, senior vice president of worldwide operations. The push for a higher federal minimum wage will be overseen by Amazon’s Jay Carney, White House press secretary during the Obama administration. Amazon won’t ask Congress to raise the minimum to a specific number. But “we’re sure $7.25 is too low,” Carney said. AP reporters Anne D’Innocenzio in New York; Michelle Chapman in Newark, New Jersey; and Chris Rugaber in Washington also contributed to this report.